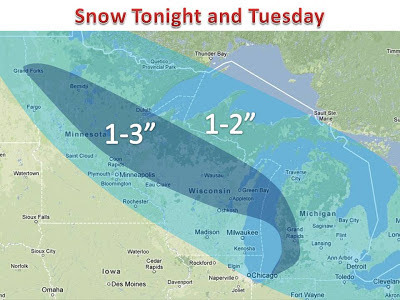 Yet another storm system will pass through the Midwest tonight and tomorrow. In fact, this is the 4th storm to drop snow since Friday. With another couple clippers on the way, before a larger storm this weekend. 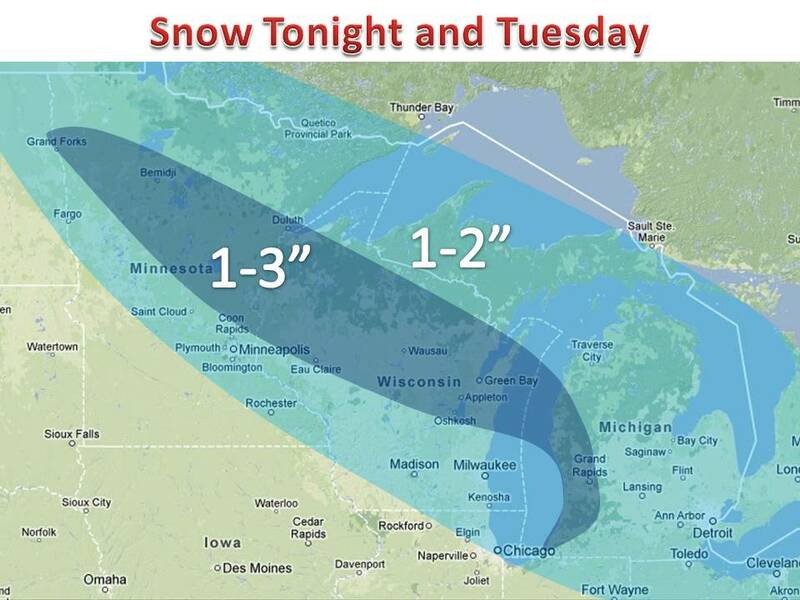 As for now, the snow tonight and tomorrow will be light, see map. However, so very isolated spots may see 4" north of Minneapolis and on the eastern shore of Lake Michigan (due to lake enhancement. Again, it will be a fluffy snow, so will be easy to shovel or even use a leaf blower, like the comment I saw in a previous post.